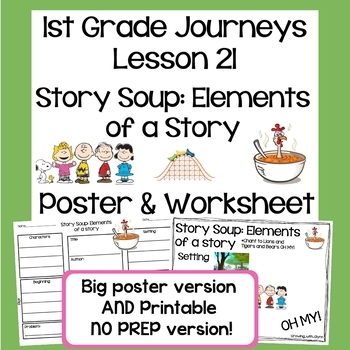 BIG POSTER AND PRINTABLE NO PREP VERSION. RECORDING SHEET INCLUDED. 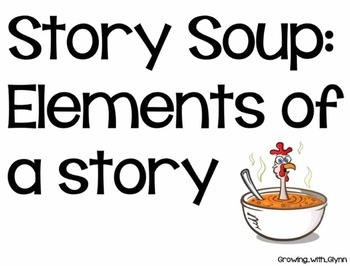 This chant helps students remember the elements of a story. 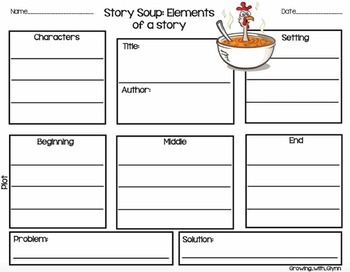 We talk about how a story is like soup and there are many ingredients in making a good story. The chant is to Lions and Tigers and Bears OH MY! This one really stuck with my students!